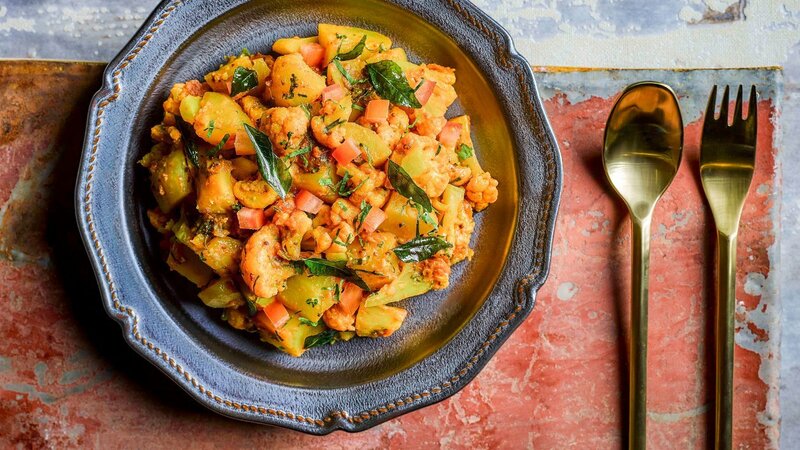 Though simple, this Indian potato and cauliflower dish will ignite taste buds with an infusion of spices that include mustard seeds, turmeric powder, curry leaves, and the Knorr South East Asian and rendang pastes. Bring water to boil, add in salt and turmeric powder. Cook the vegetables to 70% done, strain and set aside. Heat up pot, sweat mustard seeds in oil until fragrant. Lastly fold in chopped coriander. Fried the curry leaves briefly.